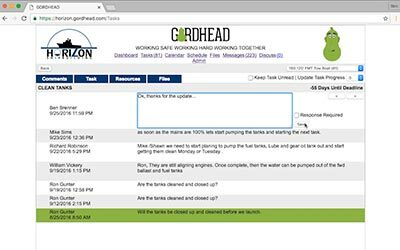 GORDHEAD has revolutionized the way Horizon operates, apart from the cost savings, running a company is fun again. 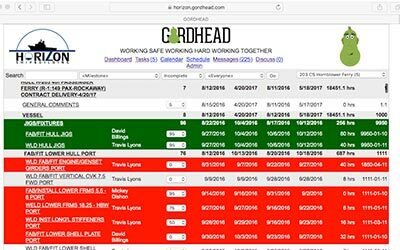 Whether you’re a one-stop shipbuilder or a subcontractor making components for larger manufacturing jobs in shipping or other industries, GORDHEAD is the new project management solution you need to maximize project efficiency through transparency and ease of use. Horizon Shipbuilding based in Bayou La Batre, Alabama, is a full service shipyard constructing a diverse range of vessels. Horizon is experienced in Aluminum, Steel, and fiberglass construction and builds everything from crew and tugboats to passenger ferries and barges delivered around the world. 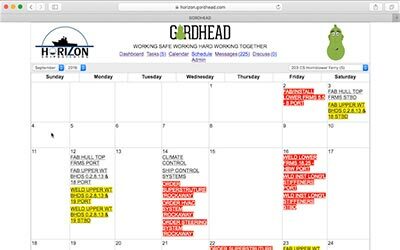 In the first year of using Gordhead software in 2015, Horizon realized as much as a 17% reduction in labor hours and as much as a 25% improvement in schedule performance. 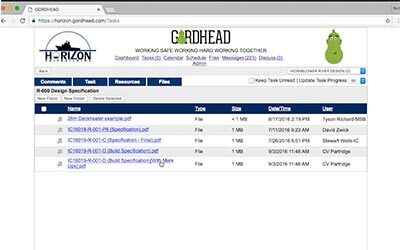 Horizon Shipbuilding uses Microsoft Project to structure projects and Sage Accounting Software to track purchasing and labor costs. 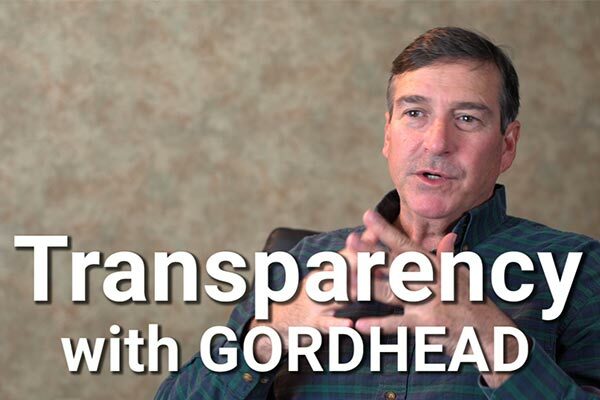 Gordhead is able to seamlessly integrate with both of these programs and provide real-time updates for plans, changes, and communication across every department responsible for a project. 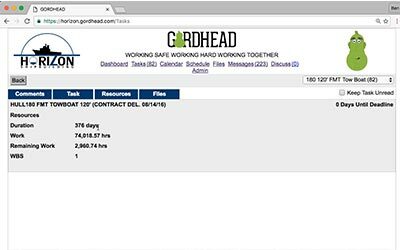 Managers keep track of the progress of the entire project down to individual assignments, and can easily see if a project is on time. 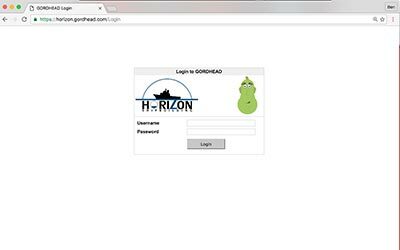 Horizon uses Gordhead as a tool to communicate with clients as their ship is being built, and customers can see constant updates to every aspect of the build process. At any time they are able to make requests or comments on the progress but also have the peace of mind that their project is on schedule and under budget. 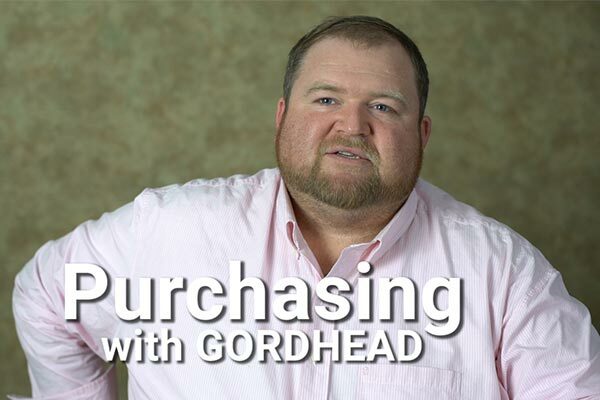 Base pricing for the GORDHEAD software system is as follows. Depending on your company's specific capabilities and size (number or users, other software, wireless networks, etc.) pricing may increase or decrease. Please call for a detailed cost analysis. If a manufacturer, how long do your typical projects last? 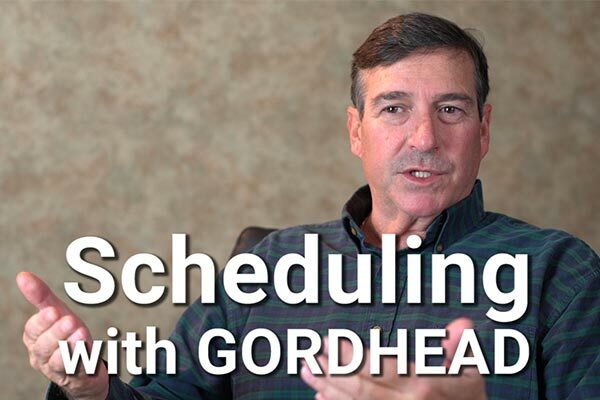 Do you use planning/scheduling software? If so, what system? 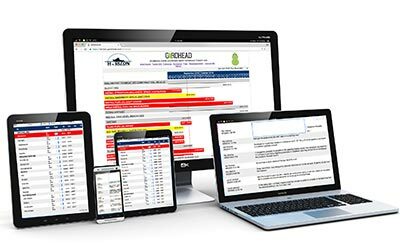 Do you use timekeeping software? If so, what system? 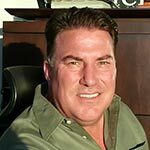 Do you use accounting/ERP software? If so, what system? 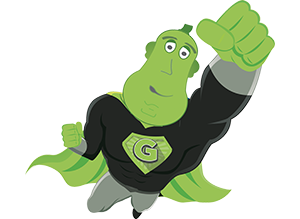 Would you prefer your collaboration software to be cloud based or would you rather have it reside on you company’s network servers? What are your current hardware capabilities? How many employees (potential users) are in your company? 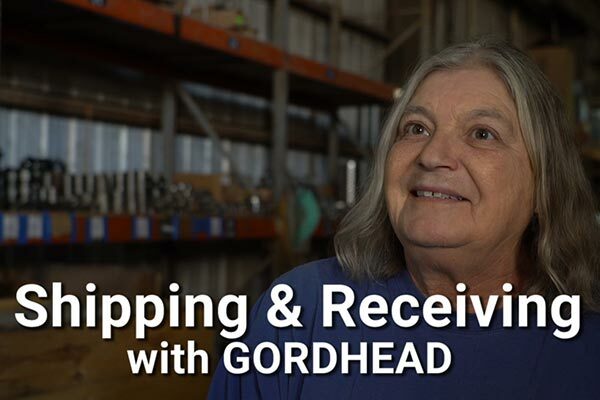 What Gordhead superpower are you most interested in?